SAN FRANCISCO (CN) – Still smarting from the Federal Emergency Management Agency’s decision to pull the plug on more than half a million dollars in fire management grants to cut down thousands of trees in the hills above UC Berkeley, the Regents of the University of California sued the government agency to reinstate its funding. “FEMA’s action could subject the East Bay Hills to years of increased fire hazard risks,” the university said in its lawsuit filed in San Francisco federal court Wednesday. UC Berkeley, the city of Oakland and the East Bay Regional Park District had planned to create a firebreak across 2,000 acres in the East Bay Hills stretching from Richmond to Castro Valley by clear-cutting and chipping 50,000 eucalyptus trees and spreading the chips up to two feet deep. But a residents’ group called Hills Conservation Network objected, saying that cutting down the trees would actually increase fire risk. The group sued in 2015 to halt the plan. Hills Conservation particularly objected to the plan for the UC Berkeley and Oakland areas, which suffered a catastrophic wildfire in 1991 known as the Oakland Firestorm. The fire killed 25 people, destroyed more than 3,000 homes and caused $1.5 billion in property damage. Hills Conservation Network, FEMA, the California Governor’s Office of Emergency Services and the park district settled the lawsuit last September, resulting in the termination of two grants FEMA had approved for UC Berkeley and one grant for Oakland. A FEMA grant to the park district remains in place. UC Berkeley opposed the settlement, accusing FEMA of failing to comply with federal regulations for terminating its nearly $574,000 in funding without its consent. The university lobbed similar accusations against FEMA in its suit on Wednesday, calling FEMA’s choice to pull its funding “illegal and improper” because it didn’t conduct an environmental review of its decision – including the impacts of funding only part of the project – under the National Environmental Policy Act. Fifteen major wildfires have ripped through the East Bay Hills over the past century, burning more than 9,000 acres, destroying 4,000 homes, and killing 26 people, according to the complaint. The area is home to an abundance of non-native trees such as eucalyptus, along with other vegetation that is more flammable and burns with greater intensity than native plants, the university says. “Without the project, the East Bay Hills and its surrounding communities continue to be vulnerable to catastrophic wildfire,” the complaint states. 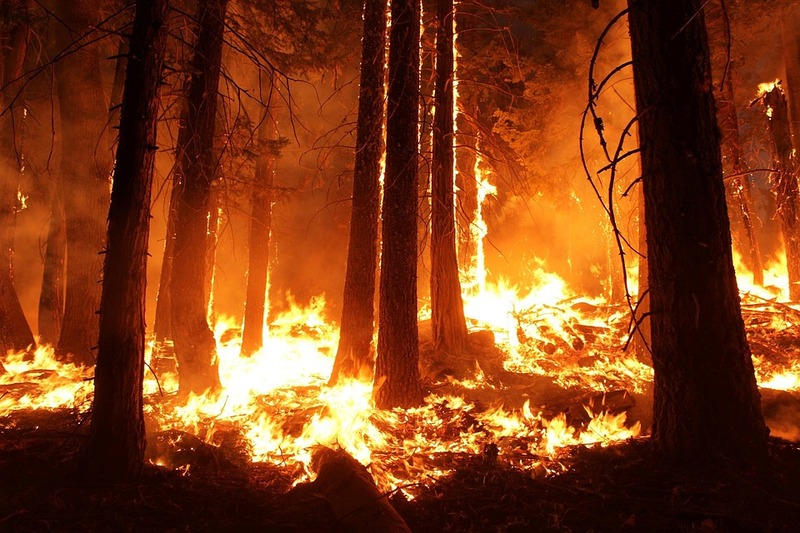 However, Hills Conservation Network said in its 2015 lawsuit that eucalyptus trees reduce fire risk by breaking up strong winds and decreasing the amount of flying embers, and that complete removal would create a “catastrophic site disturbance” that would open up the ecosystem to invasive species. It also said that highly flammable hemlock, thistle, broom and poison oak would take root in clear-cut areas, which would need to be sprayed with herbicides to keep them under control. Meanwhile, dry eucalyptus and the oil contained in the wood is highly flammable, so two feet of mulch spread across thousands of acres would actually act as a wildfire propellant, it added. Instead of cutting the trees down completely, the group wanted the university to thin them out and cut surrounding grasses. UC Berkeley spokeswoman Janet Gilmore declined to comment on the university’s lawsuit Thursday. Michael Lozeau, an attorney who represented Hills Conservation Network, also declined to comment on the new litigation Thursday until he reviewed the university’s complaint. The university seeks preliminary and permanent injunctions stopping FEMA from terminating its grants or redistributing them until it conducts an environmental review of its decision under NEPA. Shiraz Tangri of Meyers, Nave, Riback, Silver & Wilson in Los Angeles represents the university. Lozeau is with Lozeau Drury in Oakland.